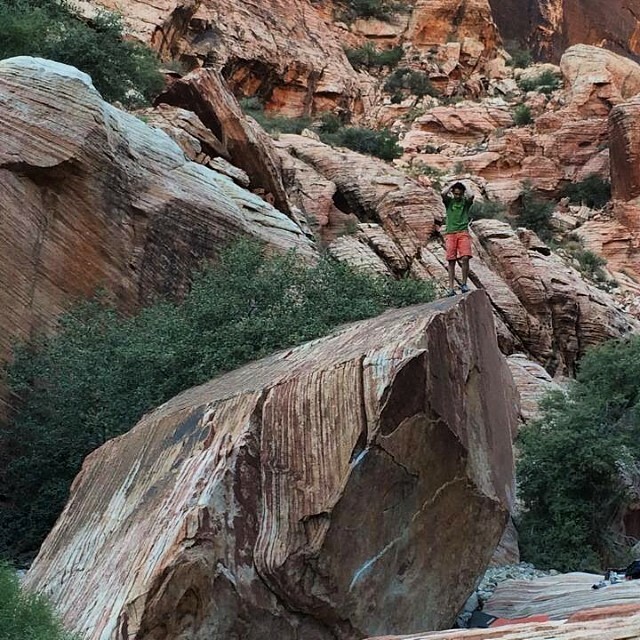 At just 13 years of age, Mirko Caballero has done his first V14 with a repeat of Paul Robinson’s Meadowlark Lemon in Red Rock, NV1. He had previously done two V13s including the stand start to Meadowlark Lemon, and he just recently won his 4th ABS Youth Nationals title at the beginning of March. I think this kid might be pretty good. Alex Kahn has a nice profile of Caballero for Vagabundo Magazine that you can read here.